1. You have poor personal credit history. Poor credit could make it difficult or temporarily impossible to achieve your dream of getting bank financing for your startup business. Banks and other lending providers look for good personal credit history when reviewing business loans. In fact, it is one of the first things that a bank looks into when reviewing loan applications. Alas, a poor credit history cannot be repaired overnight. In the United States, a poor credit history can haunt you for seven years — and for 10 years in the case of tax liens and Chapter 7 and 11 bankruptcies. If your credit history is less than perfect, it may be worth a shot to include a note in your loan application explaining what you’ve done to rectify some of the black marks in your credit history. 2. You do not have your own money in your business. You go to a bank hoping to get the money needed to jumpstart your business only to find out that they require that you have some money yourself in the first place! The reality is that banks will hardly give you 100% of the capital you need. They want to see you invest in your own business. Your owner’s equity shows them that you believe that the business will actually make money to the point where you are willing to put your own money at risk. Many banks require 30 percent owner’s equity, while some micro loan programs may require a lower 10 percent. If you are seeking a start-up loan for $100,000 and your bank requires 20 percent owner’s equity, then you need to put up $20,000 of your own money in the business with the bank giving you $80,000. These numbers represent a debt-to-equity ratio of 1:4. 3. You cannot prove that you can repay the loan. Banks will not give you a loan because they are magnanimous and charitable. They are in it to make money! And they can only make money if you pay them back. 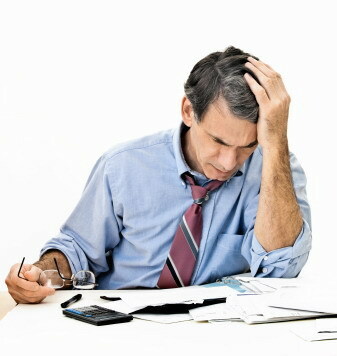 Your loan application will only be successful if you are able to convince the bank of your ability to repay the loan. For an existing business, you need to prove that your business is profitable. A start-up business, however, has no previous financial statements to prove its ability to earn profits. Instead, you need to provide the bank with research on revenues and expenses of comparable businesses in your industry. Note that there are some industries that banks may consider as too risky to finance. Some of them include home-based businesses, nightclub businesses, and others. Be sure to check out if your bank is averse to giving loans to particular industries. If your business falls on that particular industry, you may need more research or other evidence of your capability to repay the loan to convince the bank to lend you money. 4. You do not have collateral. Collateral provide banks with the assurance that they can get their money (or at least parts of it) back, even if you cannot pay. In fact, even micro loan programs require some form of collateral to secure a loan. Your collateral can take the form of personal and business assets — house, receivables, stocks and bonds, furniture and fixtures, among others — that can be sold to pay back the loan. If you do not have collateral, you will need to have a co-signer who has collateral and can pledge to cover your loan in case you default on payment. 5. You have not paid your income taxes. If you are looking to get a loan from a government-sponsored program or entity such as the Small Business Administration (SBA), you need to play nice with Uncle Sam first. As part of the loan approval process, the loan provider first obtains a tax verification certification from the Internal Revenue Service (IRS) to check if you are paying your taxes. If the IRS gives the loan provider a negative report on your tax paying habits, then your loan will not be approved. 6. You do not have experience in running the business. If you are a greenhorn who has no experience in starting and running a business, no knowledge or experience of the industry you plan to get into, chances are slim that you are going to get the loan. Banks look for assurance that you know what you are doing and that you can actually run the business. If you are in this situation, you must first try to get some knowledge and experience in running a business, particularly in your target industry. Attend some entrepreneurial training classes. Get a job in your industry to see how it really works. Or better yet, get people who have knowledge and experience on your board (or as business partners) to show the bank that you have experienced minds guiding you in this business. 6. Your business does not (or will not) generate significant steady cash flow. A steady cash flow is essential if you want to be approved for a bank loan, especially if you are trying to borrow a huge amount. You are a poor candidate for a bank loan if you do not have a history of steady cash flow with demonstrated capacity to collect debts and receivables, manage inventory and payables. Good, sensible advice here! I think that so long as you can demonstrate your business ability to produce revenue and create a profit, as well as showing your own business knowledge, passion and ability then you set yourself up for a stronger loan application.